Anyone who knows me knows I have a lot of feelings. I said that from the Midwest Craft Con stage, and I stand by that statement as I slowly come down from the high of euphoria brought on by being surrounded by so many lovely, hustling, resourceful, creative sisters (and five brothers!) for one of the best weekends of my life. You might have caught me openly weeping during our inspiring keynote speakers. Gemma Correll helped me stop stressing about how my son would rather draw and make up stories than interact with actual people. Creativity creates confidence! Vickie Howell reminded me that I can and totally am DIYing my dreams. Finally, I couldn’t agree more with Kathy Cano-Murillo’s advice to feed off the energy of up-and-comers instead of being intimated. And the timely reminder to have more glitter in my life is always welcome. In addition to all the great business classes, the DIY craft workshops were so much fun! I learned to macrame, shibori dye, bind a book and draw a pug! It was also a great way to “network” with other attendees without the awkwardness of forced social interaction with strangers. The Craft Crawl was a huge success, despite the googly eye explosion left in my hotel room post-Galentine’s Day party. 🤣 The roving party from hotel room to hotel room had super fun activities along the way combined with great company. 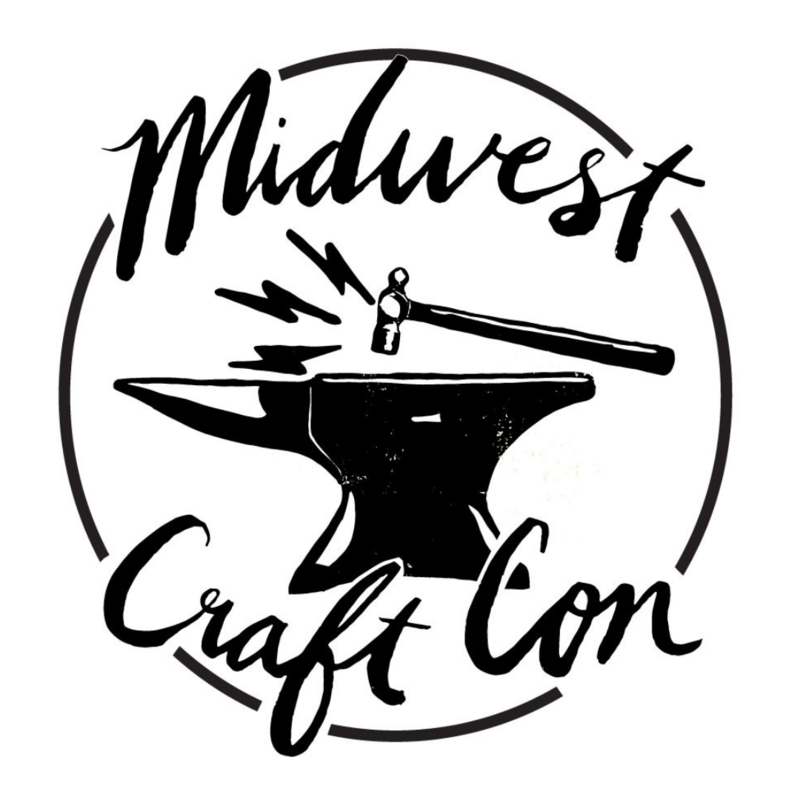 Kick off caravan for #midwestcraftcon at @gstikiroom is everything you'd want it to be! I was also lucky enough to hit up one of the bus tours to visit Wholly Craft (which is one of my favorite places in the world), Surprise Modern Party, Blockfort (where I saw a spoiler-free Black Panther exhibit and screened a cozy [koozie]) and ended with dinner at the Grass Skirt Tiki Room. I agree with Grace that this has been our best Con yet. Can’t wait to see y’all in 2020! Previous Thank you for being you! Next Three is the magic number!